Get cash for your car in Delaware today! Sell your vehicle today and get immediate payment when we pick up your car. We purchase cars in every city in Delaware, sell your car in Delaware now. Price – Due to our extensive network of buyers/auctions throughout the United States, National Cash 4 Cars is able to offer you the highest price for your car in Delaware. Free Pick-up – Our drivers are able to come to all cities in Delaware to pick up your vehicle, and give you your money on the spot. Cities serviced Wilmington, Dover, Newark, Bear, Brookside, Hockessin and Glasgow Delaware zip codes serviced are 19712, 19713, 19714, 19715, 19716, 19718, 19720, 19721, 19725, 19726, 19730, 19801, 19802, 19803, 10804, 19805, 19806, 19807, 19808, 19809. Counties Kent County, New Castle County and Sussex County. Convenient – We serve every single city and market in Delaware. Cash for Cars in Delaware today! Courteous – National Cash 4 Cars works with its customers in Delaware to ensure the smoothest selling experience, and strongly values the lifetime partnership with our Delaware customers. Stress Free – National Cash 4 Cars buys any make or model, running or not. We buy used vehicles in all types of conditions. Get top dollar in Delaware today! Expertise – Over 50 years of automotive experience, we are standing by to purchase your car in Delaware today! It has become increasingly popular to seek out cash for cars in Delaware. Many families are downsizing the number of vehicles that they own, and other individuals simply no longer want to get a reduced price at the dealership. 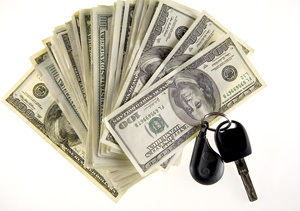 If you want to get money for your car, it is often best to seek out a service that will offer you cash. Not only will you be guaranteed your payment, but you can skip some of the less favorable aspects that accompany selling a vehicle. Few individuals realize the costs associated with selling a car. At the very least, one will have to make sure that all paperwork is in order and that the car has had its scheduled maintenance. On top of this, one must also often pay to have the car listed. If there is any damage, one must take the time and spend the money to have it fixed. If you do not wish to spend money simply to sell your car, you can seek out a company that offers cash for cars in Delaware. Rather than paying money just to make a little more, you can get cash for your vehicle as it is. Perhaps the best part of working with a service that offers cash for cars in Delaware (DE)is not having to deal with customers. No one will come by your home to kick the tires, and no one will try to convince you that your car is worth less than it is. Instead, the service will make you a fair offer, which you can take or leave. The service will take the car in any condition, and you can feel secure in the fact that you will get your money in a timely manner. Perhaps one of the best parts about working with a cash for cars in Delaware company is that the company actually takes the vehicle away for you. You do not have to meet a stranger, nor do you have to figure out have to get a vehicle that no longer runs to a scrap yard. The company's representative will come to your home, and he or she will have cash in hand. even if your vehicle will not run, the company will still make arrangements to get it off of your property. Seeking out cash for cars in Delaware (DE) is a great way to get rid of a vehicle with relatively little fuss. You need to spend no money to get rid of the vehicle, and you can get through the process in a manner that makes it easy to get cash. Whether you need to get a new vehicle or simply want to get rid of an old car, making use for a cash for cars service can help you to make sure you achieve your goals. Rather than dealing with those looking to gain an advantage, you can deal with those that simply want your car.